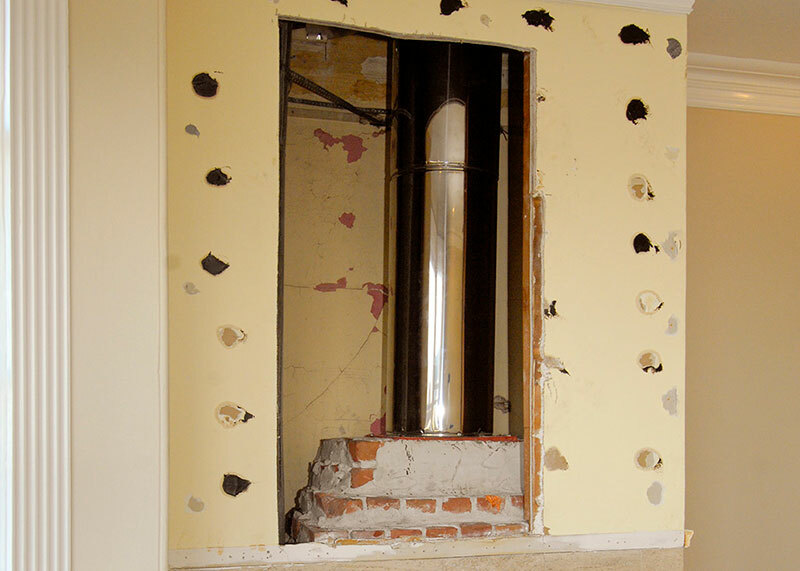 For a safe fireplace, replace your ceramic flue with a triple-walled metal flue​​. Okell’s Fireplace uses an anchor plate repair to replace all of the patent ceramic flue with new Class A (triple wall) metal flue maintaining the proper flue size. 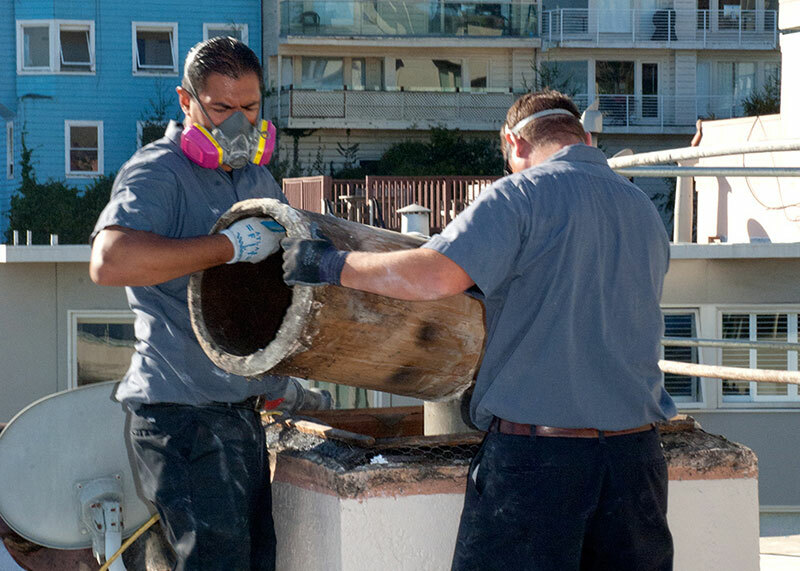 Over 100,000+ patent flues* serve typical San Francisco houses, duplexes, and apartment buildings. Built of a ceramic flue with a sheet metal enclosure inside of a chase structure, patent flues are vulnerable to earthquake damage and the elements. IF USED WHILE DAMAGED, THEY CAN POSE SERIOUS FIRE AND HEALTH HAZARDS. 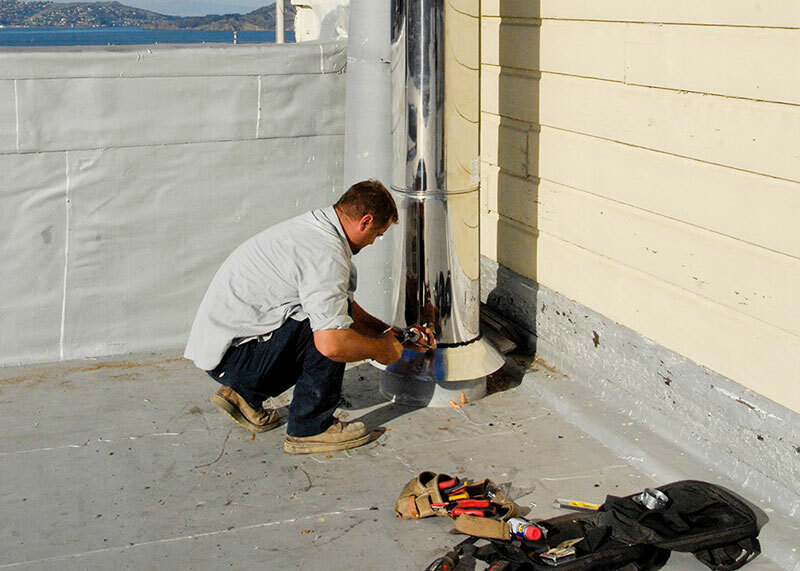 * In San Francisco, a patent flue is commonly used either instead of a lined chimney, as a vertical extension of a masonry chimney, or as a flue within a decorative chimney. 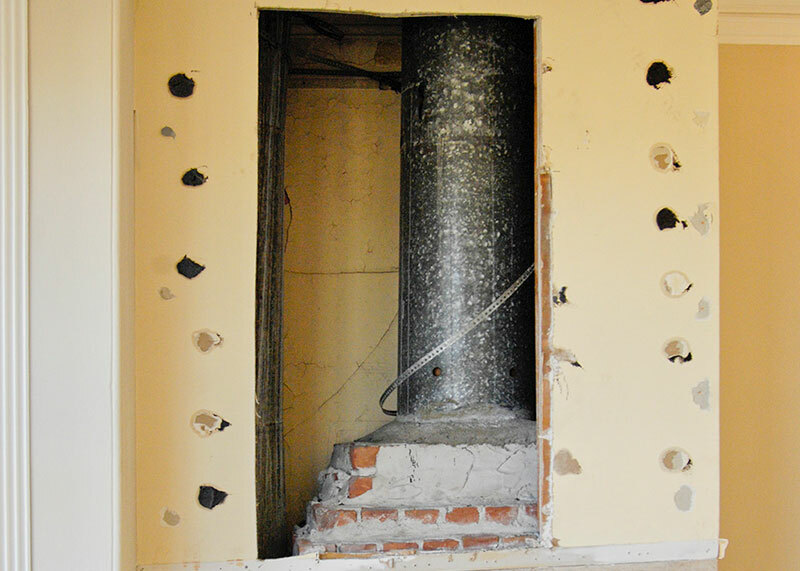 The patent flue, so called because its design was covered by a registered U.S. patent, was mentioned in the 1906 San Francisco Building Law as an acceptable alternative to the traditional brick flue and was used during the rebuilding that followed the 1906 earthquake. It is formed from a stack of mortared ceramic tube sections about one inch thick, surrounded by an air gap of approximately one inch, and an outer sheet metal jacket. 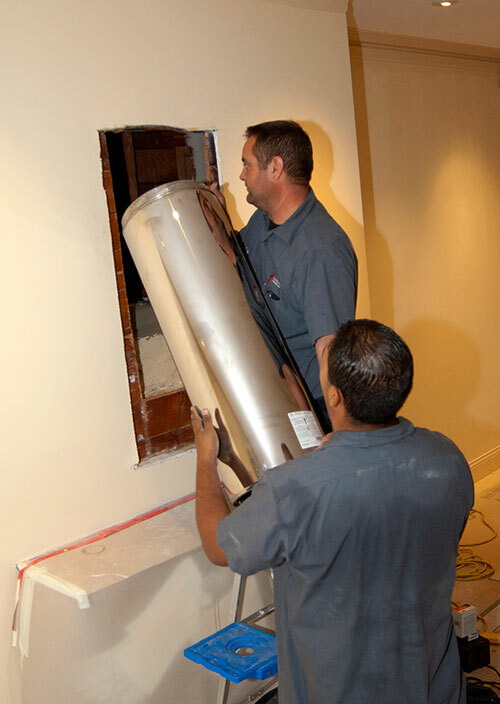 The following list (also illustrated below) is the typical process of replacing your damaged patent flue system with new Class A flue. Once complete, you and your family will be able to safely enjoy the warmth and ambience provided by your fireplace. 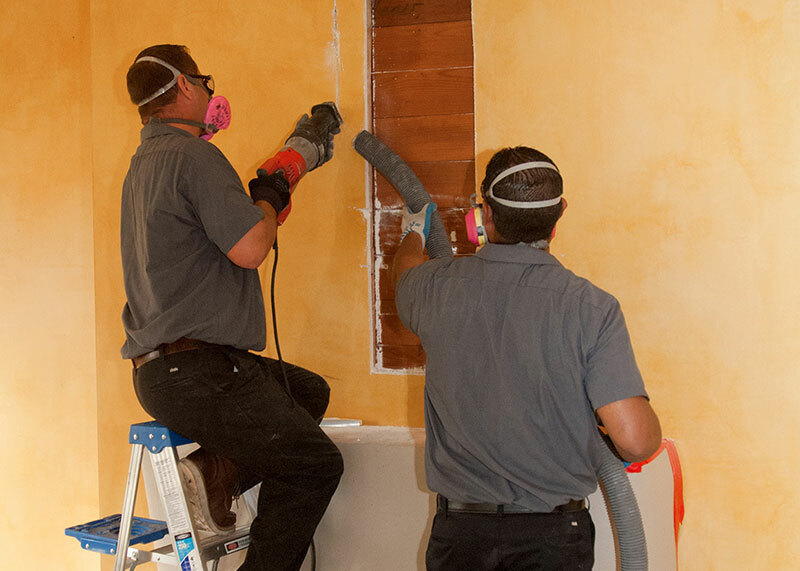 Many of our competitors use a single wall flexible liner with insulation in the throat area that reduces and limits the flue size. We strongly do not recommend this option. A permit cannot be given for this type of work because it does not meet the manufacturer’s requirements for the use of the product. 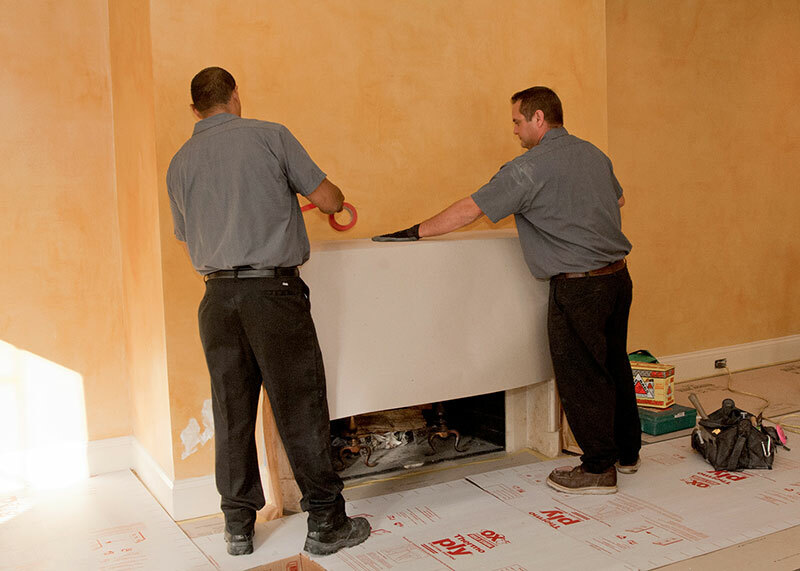 This method also limits the flue volume and typically makes the fireplace smoke. We have found no evidence that this method is standard for the industry or can be certified in any way. 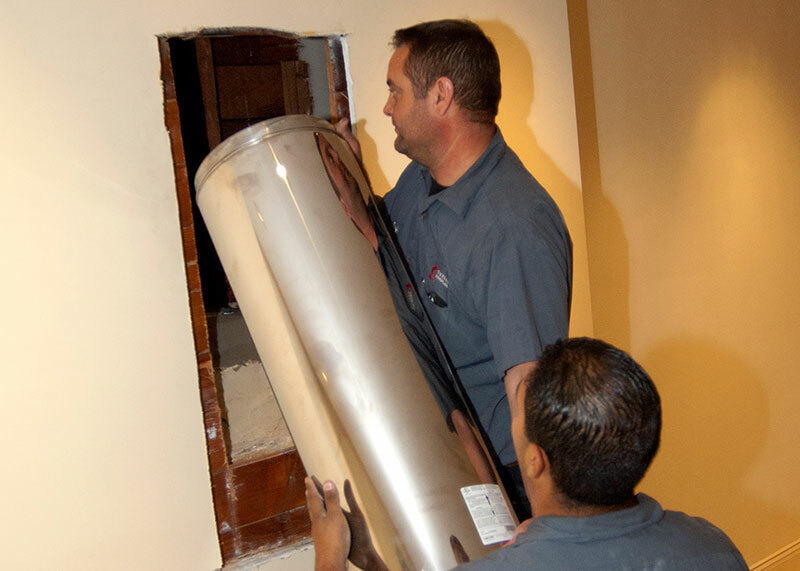 Please note that replacement of this type of flue system is the only approved way to repair your fireplace properly. 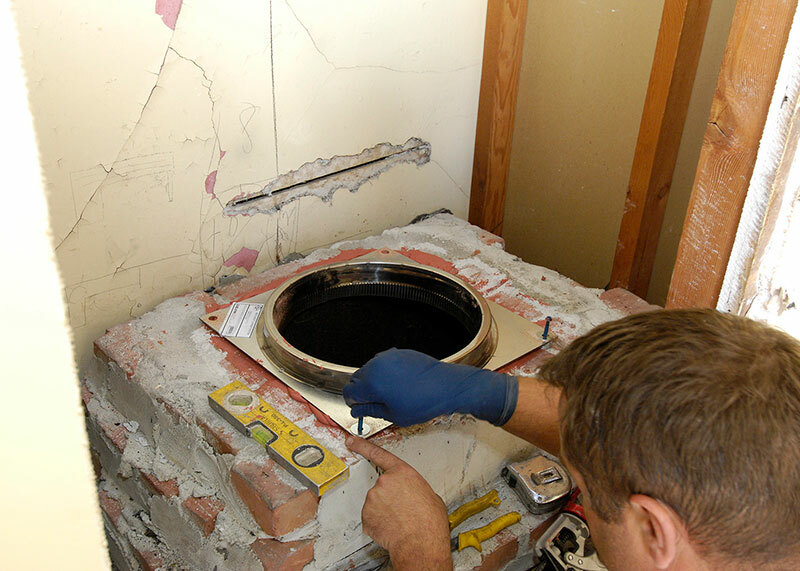 Metal flexible liners installed inside this style flue system is NOT a proper repair and a permit and inspection by the city cannot be obtained. Add Glass Fireplace Doors for better heat efficiency. Glass doors help your fireplace burn more efficiently, reduce heating and cooling costs, and provide protection for your family and home.